In addition to all the fantastic independent films that are submitted to ÉCU every year, we also have a special competition for all you talented and creative scriptwriters out there who want your scripts to be read, opening new and exciting opportunities, and creating possibilities for both feature and short screenplays. 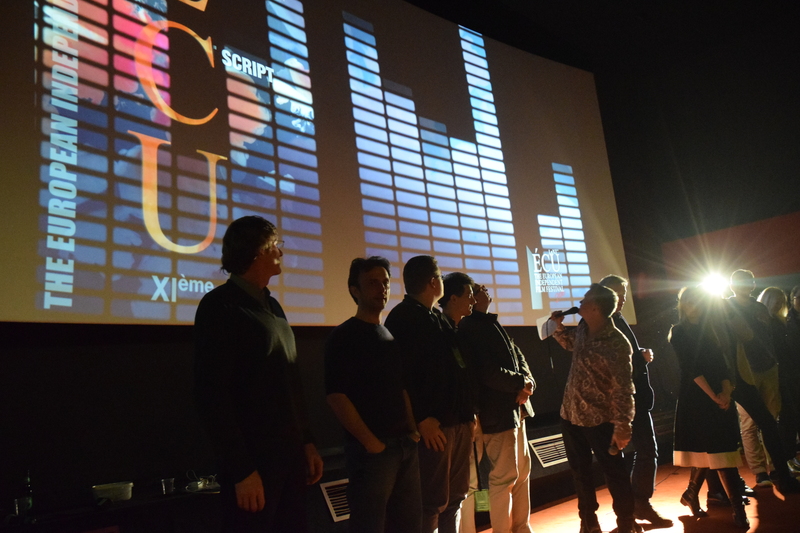 As part of the ÉCU 2019 film festival, the script competition’s focus is on independent screenplays, that is, scripts that aren’t aimed at mainstream Hollywood film markets. Writers are invited to submit their short and feature-length scripts to the competition where they compete for the best script of the festival. We will read scripts in English, French, Spanish, German, and Italian before making an official selection of the very best. The two overall winners will receive an additional prize and the coveted title of Best Feature Script / Best Short Script 2019 – a title we are certain will help emerging writers overcome the obstacle of “representation” and get their scripts read by the right people. Previous winners include TOO MUCH BUPKIS by om Brown & Dave Jay (USA), THE FORGOTTEN PATRON by Louise Deschamps (Canada), HUNTERS POINTE by Scott Liapis (USA), GOING HOME by Nir Shelter (Australia), THE COMPETITORS by Ruth Greenberg (UK), YELLOW DRAGON AND THE RED FOX by Anthony Etherington (UK) and BEFORE THE BOMB by Tannaz Hazemi and James Grimaldi (Iran), THE CHICKEN by Una Gunjak (Croatia/Germany), AS AN ACTRESS by Maria Hinterkörner (Austria), 6TH OF SEPTEMBER by Ionut Gaga (Romania). In 2012, Una Gunjak submitted her script THE CHICKEN to ÉCU’s Much More Than A Script Competition and won “Best Short Script” award. Just two years later the script had been made into film and THE CHICKEN went on to win “Best European Independent Film” at ÉCU 2016. Are you writing a screenplay? Have you got a script written and ready but don’t know how to get it out there? Why not give it a go? See all details of how to submit here. The Rules and Regulations for ‘Much More than a Script’ Competition can be found here. Last deadline for the Much More Than a Script Competition is March 3rd 2019.